Having spent over 15 years in the audio and music industry, I had been constantly searching for that perfect sound. About 6 years ago after hearing and owning virtually every cable out there, I decided to design a cable for myself, one that would properly reproduce music the way I feel it should sound. Two years and many designs and metals later, I had a product that fulfilled my expectations. Using a wire that blended copper, silver and 24k (pure) gold in proper percentages. Note, not all gold and gold alloys are the same. Within months, people within my audio community auditioned the cables and were blown away by the sound. I soon found myself building cables for audiophiles and guitar cables for major musicians. Both sonically and aesthetically, the Gabriel Gold products have been preferred by customers over some of the worlds most expensive and respected cables. An Audio distributor/importer interested in bringing the product to the mass marked called the Gabriel Golds, “a sonic and visual masterpiece.” Paul Shaffer (from the Letterman Show) outfitted his entire audio/video system with Gabriel Gold interconnects and speaker wire. Many trade magazines have requested review samples. There are nearly 500 discussions posted on Audiogon and, most importantly, many great testimonials by the the ultimate reviewers – You The Customer. 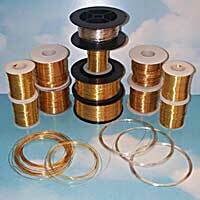 Gabriel Gold cables purchased NEW come with a 100% retail trade value should you decide to upgrade a level . What I have tried and what I believe works. As a result of my experience in the audio/music industry, I am well aware of the sonic characteristics of instruments and the human voice. My metallurgy experience gives me insight on the tonal colorations of metals when used as electrical conductors. 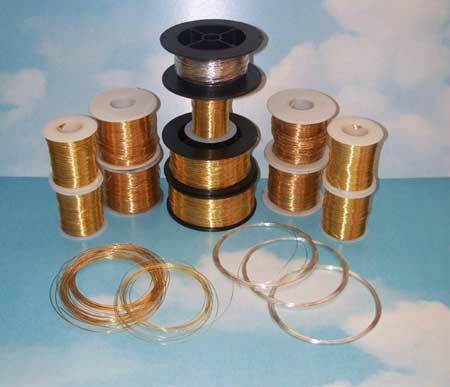 I have designed pure Gold cables but in my experience, pure gold has a coloration of warmth that can be unnatural, rolled off and flat at higher frequencies. Another negative of pure gold is it's high electrical resistivity. On the plus side, Gold does not corrode or oxidize. I have designed pure silver cables. Silver does have the highest electrical conductivity of any element and also the highest thermal conductivity. Silver also has several negative ionization properties. As an audio cable, silver has speed, focus, pace and solidity. Silver can also have some negative sonic traits such as being forward and bright with a tendency to submit excessive high frequency energy. In summary, experimentation with various percentages of these metals over the years, I have come up with a number of blended alloys which work best. This has resulted in various combinations of Gold, Silver, Platinum and Copper matched with a “no dielectric” conceptual design. The original Gabriel Gold Extreme used a Gold, Silver, Copper blend with thick 24K Gold plating and then cryogenically treated. The Gabriel Gold Rev MK 2 design came next. The GG Rev used a varied percentage of these same precious metals. The number of conductors and gauges differed to refined the sonic characteristics. The Gabriel Gold Rapture was brought to light next with yet another blend of these precious metals and included just the right amount of Platinum. The internal design, dielectric and just about every other aspect of the cable also was changed . The Gabriel Gold Rev 2 R replaced the original version. Trickle down Rapture technology and varied materials yielded the Rev 2 R. This cable shares only the same connector and solder of the original. All of these cables exhibit the Gabriel Gold sonic quality and bring the listener closer to the musical experience. I believe my designs are more accurate than others especially when it comes to tone, textures, decay, vocals and harmonic structures. Example of precious metals used.